This month, I attempted to amend my naughty ways, and get going on my bee blocks before the last minute. It didn't hurt that they were straight forward and fast-paced to piece. 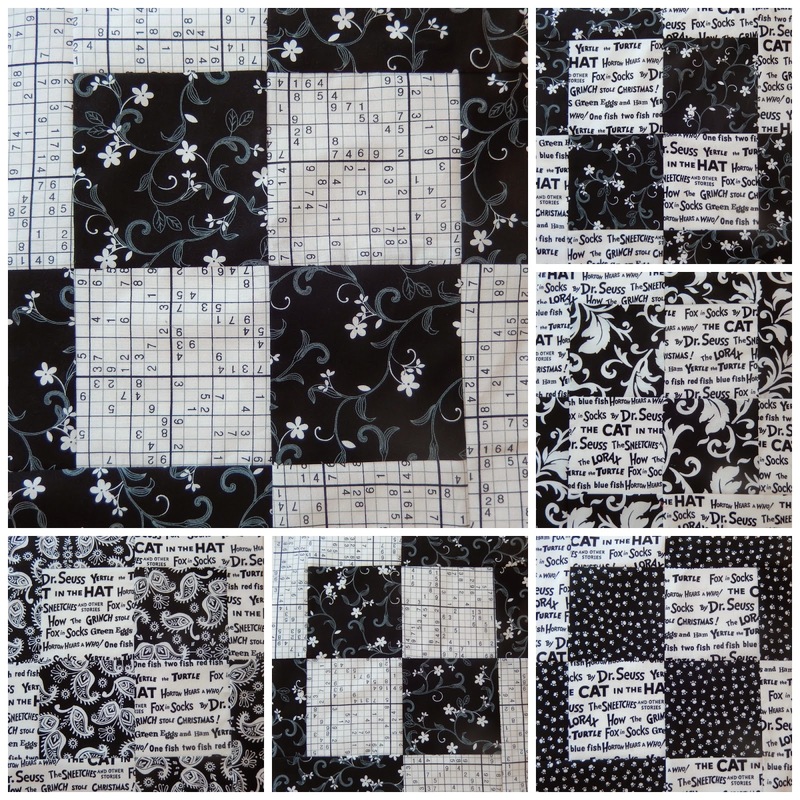 Sheila Williams of The Mindful Quilter sought high contrast, and requested black and white blocks that highlighted the fabrics. I did unintentionally complicate the process by throwing a directional print into the mix. That was rectified by cutting even more pieces (going the correct direction), and using the leftovers for making more blocks. Hence, the four blocks with Dr. Seuss fabric. Will you do me a favor, and pretend I made six blocks purely out of generosity and enthusiasm? I highly recommend these blocks if you need a quilt top in a jiffy, as they come together very quickly with no points or seams to match. You can view the cutting and piecing instructions on the Stash Bee blog.